It’s time to make a visit to Gringotts because there’s officially an opening date for Broadway’s Harry Potter and the Cursed Child. The play is set to open at the Lyric Theater on April 22nd, 2018. The original West End production opened in July 2016 to rave reviews and recently won an astounding nine Olivier Awards. 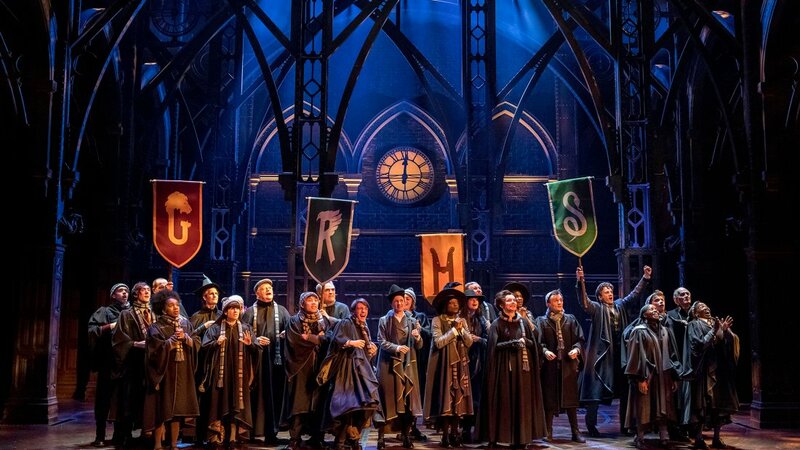 We have a feeling that it’s going to be harder to get tickets to Cursed Child on Broadway than it was to get tickets to the Quidditch World Cup. Tickets for the show are expected to be released this fall, so start collecting those galleons and knuts. The Cursed Child takes place where the epilogue of Harry Potter and the Deathly Hallows ends, nineteen years after the Battle of Hogwarts, and follows Harry’s son Albus, and Draco Malfoy’s son Scorpius, as they begin their first year at Hogwarts. The play, written by Jack Thorne, is based on a story by J.K. Rowling, Thorne, and director John Tiffany. The cast for the Broadway production has not been released, but hopefully some of the West End cast members will reprise their roles in New York! As with the London production, the lengthy play, which is divided into two parts, can be seen in either one long marathon showing or divided into a two-day event. Additionally, it’s been reported that Tiffany will stay on to direct the Broadway production. Snagging tickets is going to be hard, but we’ll be drinking Felix Felicis to up the chances that we’ll get lucky.